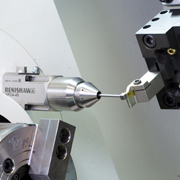 Renishaw's latest machine tool product news, case studies and technical articles. Global engineering company, Renishaw, will launch the new APCA-45 tool setting probe at TIMTOS 2019 in Taiwan. Specifically engineered for the harshest machining environments found in lathes and multi-tasking machines, the APCA-45 provides a robust, reliable and automated solution for setting a wide range of tools – such as turning, grooving, threading and boring tools. 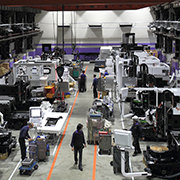 In the face of global skills shortages and rapidly emerging Industry 4.0 trends, Taiwanese CNC machine manufacturer Hartford undertook to develop an innovative, easier-to-use human machine interface (HMI) for its CNC machines. 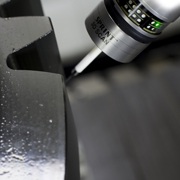 At the same time the company strived to ensure process measurement and inspection at its CNC machine manufacturing operations could keep pace with ever-improving product quality goals. Exclusive to SupaScan – Renishaw’s ultra-fast on-machine probing solution for workpiece set-up – the QuickPoint macro cycle delivers market leading speed of measurement. 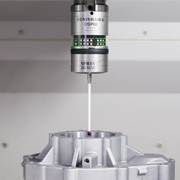 QuickPoint cycles are different from normal touch-trigger cycles as they measure using the analogue deflection of the OSP60 SPRINT™ probe – Renishaw’s innovative analogue probe for machine tools, capable of scanning and touch-point measurement. With years of experience in our own machine shop, Renishaw understands the power of using measurement data to control machining processes with robust automation. 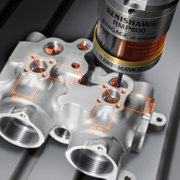 Renishaw is now using this knowledge to contribute to the MTConnect standard and to demonstrate how metrology data can be extracted from its machine tool probes and used in The Grand Challenge at IMTS 2018. At IMTS 2018, taking place in Chicago, USA, from 10-15 September, Yamazaki Mazak is showcasing its new Integrex AG series of machine tools which utilise Renishaw SPRINT™ technology to deliver a rapid and flexible solution for gear manufacturing.